Too Many Thoughts: Thinking out loud about #NDP2016's "The Legend of Badang"
Thinking out loud about #NDP2016's "The Legend of Badang"
It's National Day next week, so naturally the government propaganda machines are working at full tilt, drumming up interest in the annual National Day Parade. When I saw some posters at bus stops and other public areas recently, I was surprised to see that this year's parade storyline seems to be focused on Badang, a figure from Malay folklore who was renowned for having extraordinary physical strength. Okay, maybe not that surprised, now I think about it. In the last decade or so, official government narratives have given more attention to the figure of Sang Nila Utama aka Parameswara aka Sri Tri Buana, the mytho-historical 'founder' of a 14th-century settlement in Singapore. As I mentioned in a talk on Singapore history last night, it's good that pre-colonial, pre-modern history is being more publicly acknowledged than before; on the other hand, it still falls into the orthodox 'great men' approach to history by enshrining yet another king/ruler/founder figure in the narrative. I guess the parade organisers this year decided they had to look for another indigenous figure to excavate from the past. Badang is an easy choice: he's physically strong, a loyal warrior for his ruler, and doesn't endanger concepts of patriarchal masculinity. There's no Delilah figure or embarrassing episode where he loses his strength, and by various accounts he even seems to have had a peaceful death (no political intrigue, no violent denouements). But of course, the parade organisers had to tinker with the myth some more, in the official National Day Parade video about the legend of Badang. First off, let's be clear that this is quite an enjoyable, energetic film – certainly sexier and slicker than most retellings of Malay folklore that I've seen. Which is fine. It's entertainment. I get it. But the film neatly elides folklore and fact in a way that is, in my opinion, unnecessary and reductive of the richness of myth and the intricate ways in which pre-colonial Singapore culture and history is embedded with that of our neighbouring islands and countries. Not to mention the fact that it completely misses the point of the Singapore Stone. The video begins with the voice-over narration: "This is the folklore behind the Singapore Stone." It goes on to explain how Badang got his fantastic strength and how he used it to serve his people and his ruler, before the climactic moment of him hurling an impossibly large boulder from the top of a hill. We see the boulder smash into a bazillion small pieces, then we are told (at about 3:20 in) that the rock – and inexplicably, we now see the original, large, unsmashed rock – landed at the mouth of the Singapore River. Suddenly the film shifts to Singapore today, Marina Bay Sands skyline and all. The voice-over continues: "This rock was blown to pieces by the British in 1843 and a fragment known as the Singapore Stone now sits in the National Museum of Singapore." That is the last spoken line of the film. I found it disconcerting, the way the story shifts from acknowledged folklore (the film is, after all, called The Legend of Badang) to empirical fact (when the stone was blown up, where the fragment remains) – as if both are equivalent realities. But that is a matter of storytelling finesse that perhaps the parade organisers felt that they could safely ignore. When the mytho-historical figure of Sang Nila Utama is trotted out in textbooks and at national events, it doesn't matter if he existed; the important thing is that Singapore today is real, and to evoke a sense of pride today in some concept of ancient Singapore. In the same way, it doesn't matter if Badang existed and if the stone he threw (if he threw one at all) was what we now know as the Singapore Stone; the important thing is that the Stone is with us (at least a fragment of it). But the story of the Stone, and of Badang, just seems so small in this account. There is no mention that one of the main sources of the story of Badang is the Sejarah Melayu (The Malay Annals) – a text that comes out of the Melakan tradition, and which is thus a shared story of Melaka, Johor and Singapore, among others. Specifically the story of Badang (as translated from the Sejarah Melayu and reprinted in an English magazine in 1822) describes him as living in Saluang in Sumatra when he acquires his strength (not in Singapore, which is what the National Day Parade video states at 0:06). My point is that Badang is very much a story about a hero of the region, not a man from exclusively Singapore, and this was in keeping with how indigenous people in pre-colonial times (and perhaps, some people today) view their identity and culture as being regional and interconnected, not isolated to one island. From the pragmatic, 21st-century, nation-building, rah-rah-National Day Parade perspective, I understand why the parade organisers have cut Badang down to being a hero of Singapore. But that is a small, small way of looking at Singaporean identity and history, and one that does us a disservice in the long run. 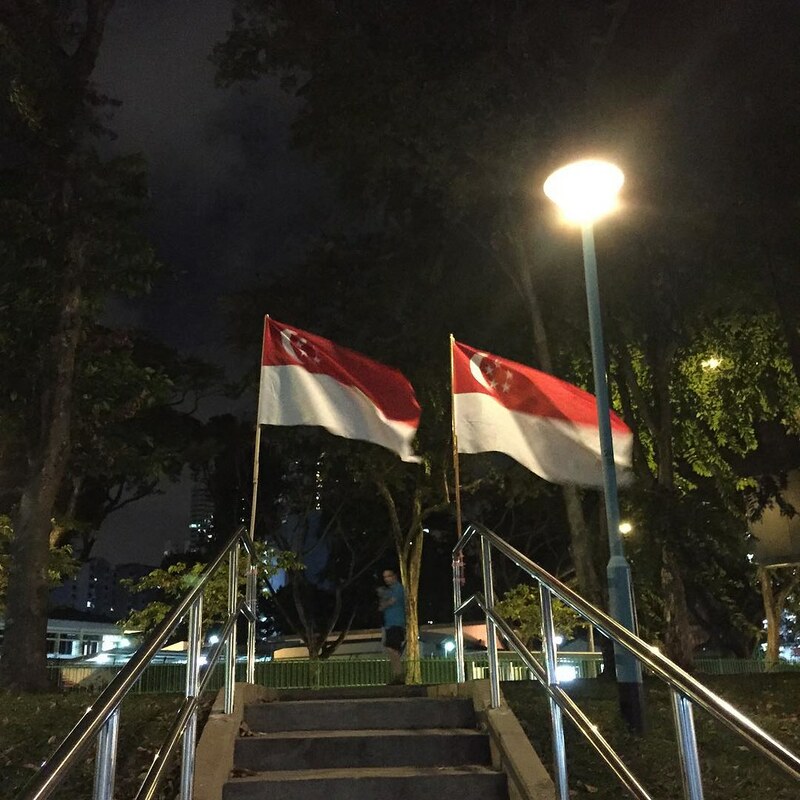 It encourages us to see ourselves, often falsely, as a case of Singaporean exceptionalism, rather than as a Singapore that still is, and should still be, intertwined with the region. As for the Singapore Stone, it appears for less than 10 seconds in the 3 minute, 45 second-long film. We are told that a fragment is at the National Museum, and that's it. We never see a photograph of the actual stone (although there is one on the National Day Parade webpage "Badang and the Singapore Stone"). There is no description of what the stone, empirically, is: an artefact of sandstone, inscribed with a faded, obscured script that has never been conclusively identified, although it bears similarities to other ancient scripts on stones that have been found in the region, from Kedah to Karimun to Kalimantan. I confess my own bias here: I have a deep love for the unknowability of the Singapore Stone. It is inexplicable to me that we have this magic (and I do not use that word casually) object in our museum, in our midst, and we do not acknowledge it, in everyday discourse, as an emblem, perhaps even a synecdoche, of Singapore history. It is essentially unknowable, a cipher for all time (barring the invention of a time-travel machine to go back and meet the people who inscribed it). It survived at least five centuries (perhaps up to ten), exposed to the ravages of tropical weather, before it encountered men who were more intent on removing it than on understanding it, and then it was desecrated and almost entirely destroyed. Yet one tiny, tantalising fragment is still with us today (a miracle also, given that things are often lost, if only by neglect, when museum collections are transferred from colonial to postcolonial administrations). It is silent, it is indecipherable, and yet it says so much: about a people who carved words on stone in a time when such things were extremely difficult and painstaking, about a people who had language, and had things to say that were worth carving into the permanence of stone. We do not have the means or wherewithal to access what they said, but that is our burden, not theirs. Of course, to be in a state of unknowing, or merely to acknowledge that sometimes access to the past is cut off by impatient successor states that have no interest in that past, is not the sort of message that a Singapore National Day Parade would want to deal with. Far eaiser to cherry-pick the useful characteristics of a regional legend – make Badang 'Singaporean', make all his exploits take place here, imply his realness by casually equating the Singapore Stone with Badang's stone – and merge them into an insular new myth, rather than to posit that Singapore could find itself by looking outwards or by embracing uncertainty. I know, I know – it's just a National Day Parade video. It will be forgotten by the end of the month. I honestly don't remember anything about last year's parade, or the ones before that. It's a spectacle, short-lived but loud and declamatory. It is everything the Singapore Stone is not. But the parade is still a claim to identity, and a claim to what being Singaporean means, and for all that it has adopted the posture of elevating a figure from Malay folklore (and all that implies in our majority-Chinese society), it really isn't saying anything new or advancing a more open, progressive, hopeful or imaginative vision of Singaporean-ness. There are many myths and fictions we tell ourselves. I just wish we would start choosing better ones. Thank you for this. Well thought and well written! Didn't watch NDP or know that a distorting new spin was put on old myths or historical objects. Also recently read your Lighthouse. Thought it was outstanding. Thank you! I'm glad you enjoyed both pieces.